Rotterdam, a major port city in the Netherlands, is well-known for its strategies that enable it to adapt to climate changes. Inventions from Rotterdam are in the international spotlight time and again. 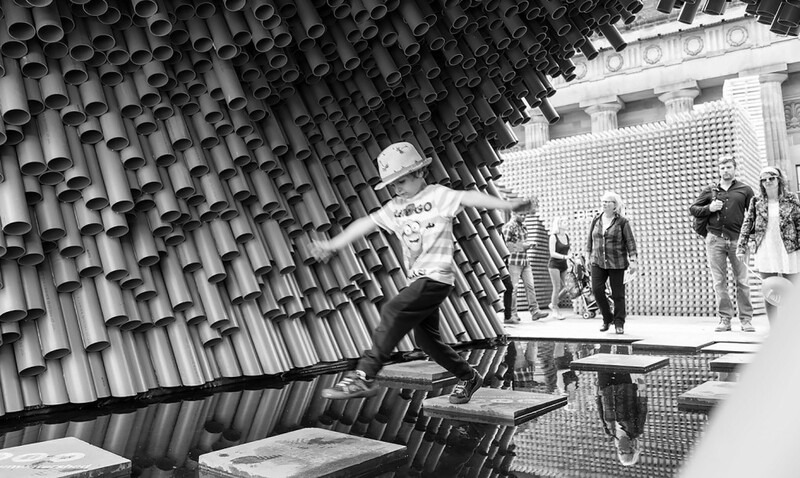 Recently, the Festival of Architecture was celebrated in Edinburgh. Edinburgh’s Mound Square was transformed into a village of city pavilions from June 21 to July 17 for the Pop-Up Cities Expo. Architects created innovative and engaging pop-up designs which captured the public’s imagination. The Rotterdam Watershed pop-up pavilion designed by Eline Strijkers of DoepelStrijkers won the design competition. This pavilion collects rainwater in a “playful manner” and illustrates how Rotterdam captures, retains, and uses water to make the city safer and greener. 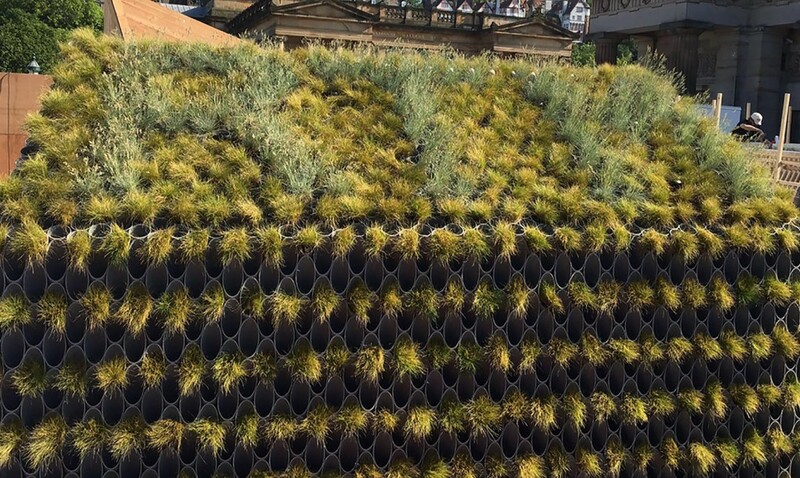 The Rotterdam watershed consists of 2,400 recycled PVC rainwater pipes. With the help of these pipes, a shed-like structure is created. In half of the pipes, plants are planted and are closed off on the outside. The other halves of the pipes have PVC caps, and rainwater is collected in these caps, which is slowly dripped in through the small holes in the caps to fill in a pond at the base of the structure. The pond has stepping stones made of concrete. Visitors can hop over the pond on these stones.